School is back in full swing here. My son started middle school and the adjustment period has gone fairly smoothly. I think the biggest adjustment for my son and for us, is the amount of homework. My son has study hall each school day and does some homework during that time, but still has an hour or more of homework at least four nights a week. I will say though, he is learning a lot and really enjoying sixth grade. I think all the brain power he uses each day makes him hungry. He comes home each day from school starving. I’ve been trying to find different things for him to eat for an after school snack, but our go to snack food is cheese. Not just any cheese, though, but Arla Dofino cheese. To be more specific – Arla Dofino Havarti cheese. While he helps to make his after school snack, my son tells me about his day. During that 30 minutes or so of his day, I get so much information from him. I think it’s the best part of my day. Havarti is a rich, creamy cheese that is perfect as is on a cracker, on a sandwich (hot or cold), or used in recipes. Since he is so hungry, he wants more of a hearty snack sometimes. Like the other day he helped me make paninis using Havarti cheese, tomato, fresh basil on a french bread with garlic infused olive oil brushed on the bread. Place a slice or two of Havarti cheese on a slice (my son doesn’t like his bread as thick as we do and he wants white, while ours is whole grain) of French bread. Place 2-3 basil leaves on top of the cheese. Place a slice of tomato on top of the basil. Place slice of French bread on top of tomato and brush with olive oil. Place the sandwich olive oil side down onto a panini press (or in a skillet) and brush the other side of French bread with olive oil and let your panini press lid down. It takes approximately 3-5 minutes.Remove and enjoy! 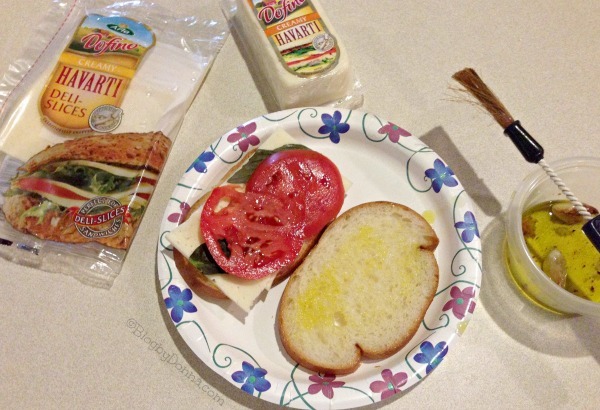 The Havarti paninis are great with a side salad or a bowl of soup, too. You can use the Arla Dofino store locator to find stores in your area that sell Arla Dofino. I buy mine at Ingles, Kroger, and Walmart. I try to be a “naturally good” mom, by providing my son with a variety of healthy options to eat every day. Arla Dofino helps make that possible. 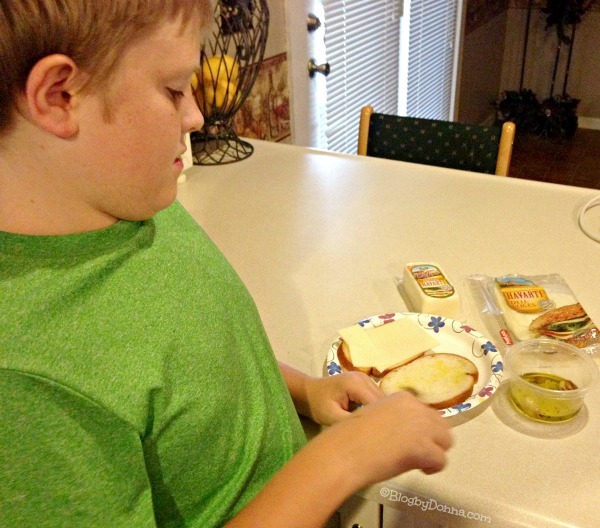 What is your favorite ‘better-for-you’ lunch or after school snack for your kids? Think You'll Never Use What You Learned in School? Ooh, we love havarti cheese. Those grilled cheeses look amazing! That looks like a very yummy snack! We eat dinner really early so snacks generally weren’t on the menu for after school, but I always put some cheese in our daughter’s lunch box for recess or for her to eat with her sandwich at lunchtime. Kids love cheese! Looks great ,thanks for the post. If there is anything I could do over again as a mother it would be what I feed my children. I love that the snacks are healthy. That looks amazing! I love that their cheese is rich and creamy and that you can put it on anything! I love grilled cheese sandwiches. I want this as my snack! We like crackers and cheese or fruit or popcorn. These look like some really awesome snack ideas. Thanks for these suggestions. I’m sure my kid will appreciate the fact that I’ve gained them. this looks really yummy, I can’t wait to try it! I love a good sandwich. Yum that looks like a delicious panini. I agree hearty snacks are a good choice for afterschool. I’m glad your son fills you in when you’re grabbing a snack. Cheese is always a good idea. I love Havarti and will have to see if we have any Arla Dofino near us. I love Havarti cheese, it’s so good! the Panini looks so good! It sounds so incredible in a panini sandwich. I must try that! Yum! This looks really yummy! We have gotten to where we don’t buy much bread from the store since we don’t like most of the brands. I will have to pick some of this up at Wal-Mart sometime. I miss sandwiches from bought bread! My kids come home ravished. It doesn’t matter how large their lunch is. I need healthy snacks that will tide them over to dinner. This looks like a great option. 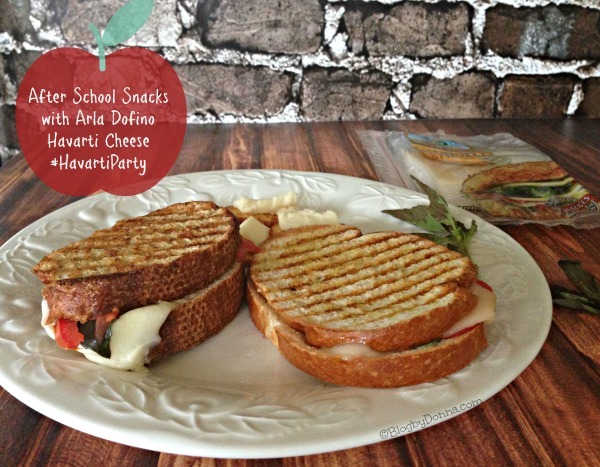 I just love a good grilled cheese sandwich and using a yummy cheese makes all the difference.